Many organizations that use Cloudinary have thousands, if not millions, of digital assets stored in their system. However, certain users on the account may not need to access all the images, videos and raw files. 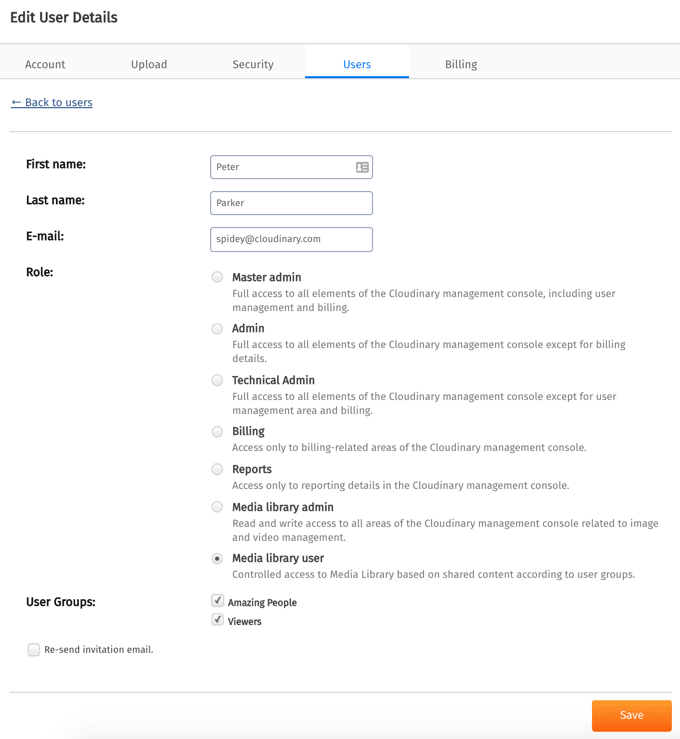 Because of this, Cloudinary offers the ability to add a layer of security to your folders, allowing access to only those who have the proper permissions to do so. 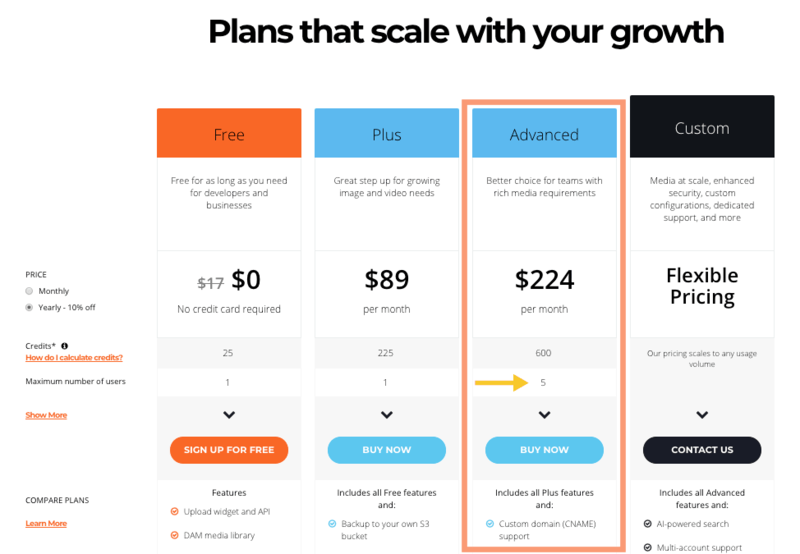 To allow permissions for specific folders in your Cloudinary account, you must have a service plan that allows multiple users, such as our Advanced plan. We also recommend developing the folders and associated assets you attend to share before you actually share them with user group members. 2. Go to the Console’s Media Library. 3. You should see an arrow that is pointing down, which is next to the Home folder. Clicking it will display the Add folder option. Select that option from the list. 4. A pop-up window labeled Add Folder will appear with a text field. Enter your desired folder name into the field, then click the Save button. You will now be able to find the folder in the list of your account’s other folders. 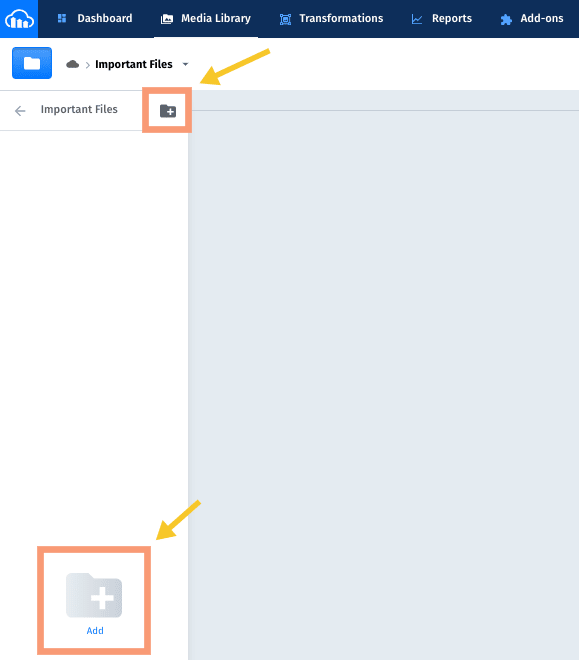 If you need to create a subfolder of an existing folder, simply select the top-level folder and then select its Add Folder icon, which is a grey folder with a plus sign on it. Then, follow the steps outlined in Step 4 above. Once you have created your folder and added your desired assets to it, now you’re ready to take the next step in applying folder permissions - creating a user group. This will allow you to assign specific users to the group, and then eventually apply permissions to all of its members. 2. Click the Settings button, which is a a gear-shaped icon. 3. Click on the Users tab. 4. Scroll down the page until you reach the User Groups section. From there, click on the Add new user group link. 5. At this point, enter your preferred group name. Then, click the Save button. Your newly created user group will now appear in the Users tab under the User groups section. If you want to make adjustments to the group name, select its associated Edit link. Now that you have created a user group, you can apply permissions for a folder. 1. Select the Console’s Media Library tab. 2. Click on the More icon for your desired folder, which should resemble a kebab. Then, click the Share option. 3. A pop-up window labeled Share Folder will open. In it, click the Select groups field. A list of all the available user groups will display. Click the desired user group. 4. Set the permission level for the selected user group from the dropdown list. 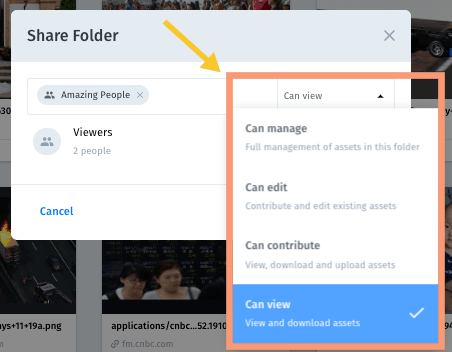 Can view - The user group members can view the assets in the folder, as well as download them. 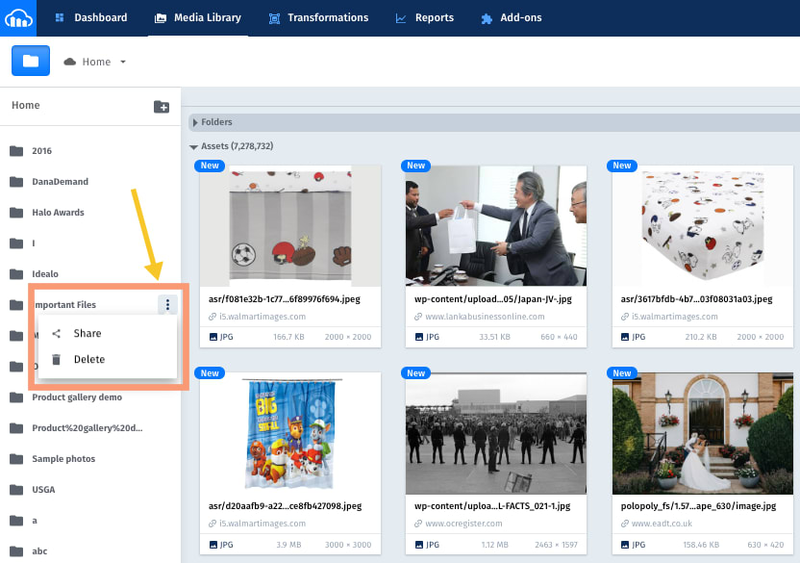 Can contribute - The user group members can do everything that Can view users can do, as well as upload new assets to the folder. Can edit - The user group members can do everything that Can contribute users can do, as well as tag assets. They can also add and edit metadata, as well as update existing folder assets with revised versions. Can manage - The user group members can do everything that Can edit users can do, as well as delete assets and folders. They can also grant permissions to other user groups from this folder and its subfolders. 5. Click the window’s Save button. At this point, your assigned user group will now have the set permissions for your chosen folder! By default, any permissions you set for this folder will be inherited by subfolders underneath of it. 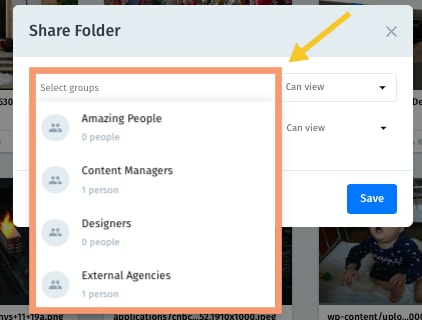 As an example, stating that a user group can view a folder will also allow the group to view all of its subfolders. You can always increase the level of a subfolder's permissions by selecting and editing it through the steps shown above. So, you could have the top folder with viewing rights only, whereas you can allow the group to edit one or more of its subfolders’ contents. Note that you can only increase the permission level of subfolders, not decrease it. Now that you have created your user group and properly shared a folder with it, any users with the Media library user role can be added to that group. 1. 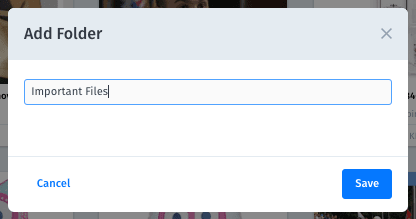 Go to your Users tab in your Console’s Settings, using the steps above. 2. Scroll down to the Users section of the page, then select the name of the user you want to place in the group. If you still need to add the user to your account, select the Add new user link at the bottom of the list, then follow the steps below. 3. Scroll down on the user’s detail page and verify that they have been assigned the Media library user role. If so, a series of checkboxes will appear below the list of roles with the names of all the existing user groups. 4. Select the desired group(s) for your user, then click the Save button. It is important to assign your user to at least one group, otherwise the user will not see any content in your Media Library. You will now see the Number of users field in the User Groups section of this page increase. This means all the associated users in the group will now have access to the shared folders. Please send us a support request for specific use-cases you encounter that may not have been addressed in this tutorial. You can also read our official documentation on the feature.